 Experience Victorian life during the 19th century as you visit the estate of one of Wisconsin’s most prosperous families. Follow the lives of the prosperous Dousman Family as you tour their Victorian home, meticulously restored to its 1890s British Arts & Crafts splendor. The Fur Trade Museum is temporarily closed as it is undergoing structural rehabilitation. We apologize for any inconvenience. Check back for updates. Trace the steps of the working women and men who kept the family estate running, as you visit the servants’ quarters, kitchen, and outbuildings. Explore the landscape of our riverside site, including duck ponds, heirloom gardens, and the archaeological footings of early landmarks like Fort Crawford.